If God moves your heart with compassion and you feel led to help us, please click this lick to set up your one-time or recurring gift. Know that you are not just partnering with Awe Star—you are partnering with the Lord of the harvest as together, we mobilize for missions. ​Thank you so much for praying for #TeamMexicoSpringBreak! Many of you read and shared this post as well as those from the field (if you didn’t see them, scroll back in this blog and see the great things God has done!). We are so grateful for your prayerful support. But what about after the mission trip? Of course, the prayers don’t stop anymore than our relationship with God stops. Today, we want to offer five ways to pray once the mission trip has ended. 1. Follow-Up (on the field): Awe Star does the best we can to capture new believers’ or seekers’ contact information to share with the pastors we work with. In the case of an often-mobile population (Nuevo Laredo, like many places in Mexico, is a city of migrants), this can be difficult. Ask that the Holy Spirit will follow up with each one and move them to seek out Christian fellowship and teaching. Many received a copy of the Scriptures; pray that the Lord will compel them to read and obey His holy Word. 2. Follow-Up (at home): Awe Star teaches students to live the lifestyle of a missionary, so when we leave our international setting, we are not leaving the mission field at all. Pray that each student and adult who went will view their current setting as a mission field. Ask God to give them divine encounters and enable them to be willing witnesses to any seeking souls He brings their way. 3. Protection from the Enemy: You can be certain Satan will try to kill, steal and destroy the good work God did during the trip, in the lives of the new and prebelievers as well as in those of the missionaries. Pray for recognition of and protection from these attacks and that God will fill each one so full that no room remains for the enemy or his wicked weapons. 4. Future Service: Both the Christmas and Spring Break Mexico trips often become the launching point for future missionary service. Some of our summer teams remain unfilled, so please pray for clarity for those who are still praying about these summer opportunities. Ask also for God’s provision of prayer and funding to support those who do sense the Lord’s calling. 5. Continuing Impact: The students who served on this trip experienced a huge amount of teaching as well as missionary service in a short amount of time. Please pray that in the midst of school, work and other responsibilities, they will be faithful to process everything God has brought into their lives and walk it out in the way He desires. Head knowledge must become heart knowledge, and this happens as we walk it out by faith in our Lord and Savior. Thank you again for your faithful prayers. We couldn’t do this missions thing without them—and you. We entered through a secure gate and were led down a narrow, but bright outdoor path to a courtyard. Awaiting us were about 18 men who had spent anywhere from the last five days to the last three months searching and seeking. Their backgrounds were as various as ours, but the direction of our decisions had led us all to that place today. The Team had an amazing and unique experience in our opportunity to visit a drug and alcohol rehabilitation facility in Nuevo Laredo. Our students knew from the beginning that this dynamic was a bit different from the plaza we had visited the day before. Within this courtyard there was a unique atmosphere. The men we were about to encounter had been broken, crushed by their sin, but a great work had already started in many of their lives. We had several men communicate their need to commit their lives to Christ. One man, Hector, needed the healing guidance a little bit more than some of the others. His roller coaster lifestyle had led him to this facility for the third time after he had received his third DUI. 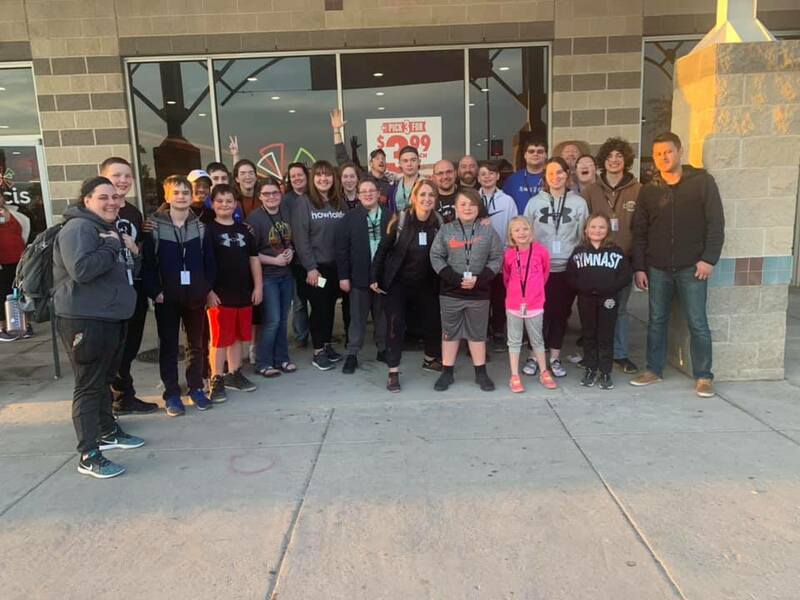 As we left the facility, our students knew that in the midst of being called by God to go and encourage these men, God turned the needle of the compass as we found a new breath of exhilaration to share the gospel. God moved in incredible ways at the Rehab center as well as the Maximum security prison. Please pray for us today as we have our final day of ministry! This morning #TeamMexicoSpringBreak presented the Freedom drama in a local plaza. When they were done, a student talked to a man who had actually seen the drama performed near this same plaza the day before. The man began telling the ministry team, "Yesterday I was on the way to the bar and when I came upon the team doing the drama I stopped and watched it. I did not talk to anyone, but I was so moved that I left and never went to the bar! I could not stop thinking about what I saw.” The student continued to share the Gospel with this man and he prayed to accept Christ!!! #TeamMexicoSpringBreak has been captivated by the presence of God. As they continue to move from plazas, markets, orphanages, and homeless centers, God is moving in their midst! Each night stories of divine encounters fill the air as students share how God is moving each day. Please continue to pray for the Lord to display His wonders and draw many people to Himself. The day began with one team going to a maximum security prison. The team was told that the odds of their getting in was small, but to pray and see if God would give them favor. The team fiercely prayed sun stopping prayers, asking God to do the impossible. You see, the local contact who was working to get us into the prison had been trying to get access since December. He had gone more than 25 times asking for permission, and had been denied every time. It was a long shot for this team, but that didn’t stop them. They had already seen God stop rain, bring divine encounters, and open doors at other ministry sites that no man could make happen. So trusting God with access to the prison was natural. Awe Star teaches that we are to have a heartbeat of obedience. We are God’s willing witnesses, ready to move and go where ever that He directs us, to be moved toward a divine encounter. So this team knew no man could keep them out of the prison, and no man could give them access. It was God who was directing their steps! The team showed up and without missing a beat had access to the prison. God did it! He put the right person in the right place at the right time, so the team could collide with the encounter He had already arranged! How cool is that?!! 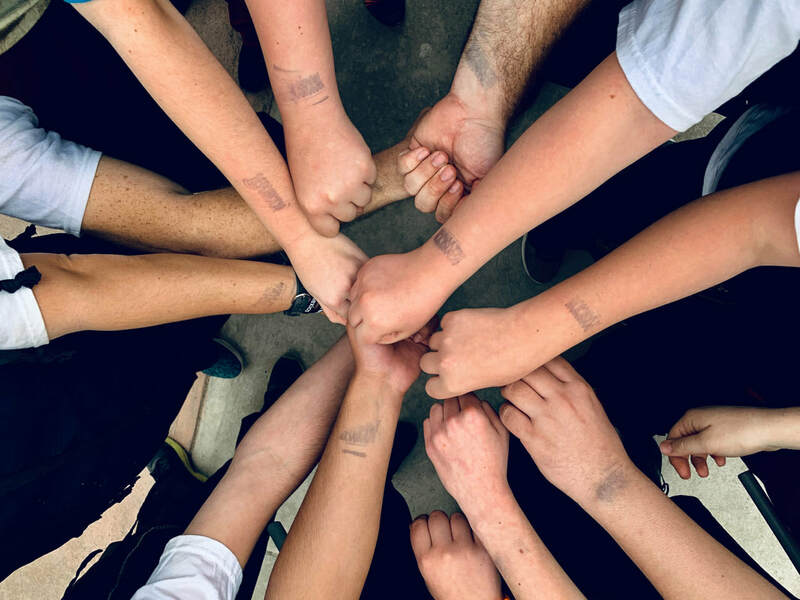 Four inmates gave their lives to Jesus today! As teams entered markets, parks, and Refugee centers, each team filled the air with prayer. The atmosphere was thick. First time student missionaries were nervous and maybe a little scared, but prayed with intensity that God would do in them what they knew they could not do themselves. 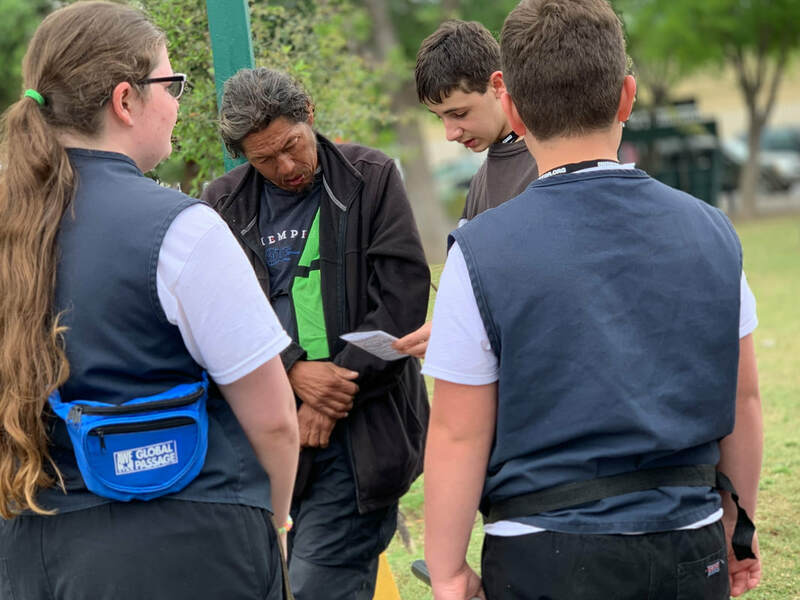 They had been prepared to share their story on the street, but after they performed the street drama - a chronology of the gospel in the local language - they were told that they were to prayerfully engage the people. Stepping out in faith, they looked for The One that God was leading them to talk to. Most of these student missionaries have never engaged in this type of intense ministry. Obstacles of language, self-doubt, and a little fear accompanied them as they stepped-out with as much faith as they could muster. Then it happened: Student after student began seeing God break out of eternity and invade time to fill their mouths with words as they boldly shared the gospel. Families, children, displaced peoples, and even the homeless were being transformed as students talked with them about Jesus. It was beautiful. It was the Awe…. Today both teams worked extremely hard to learn the drama, FREEDOM. They continued to learn how to share their testimony and how to share the Gospel to the people of Nuevo Laredo. Tomorrow the team will go out into the city and begin sharing the Gospel. The Mexico Spring Break teams arrived safely to where they are staying! They enjoyed the time of discipleship and fellowship, getting to know each other on the ride to Nuevo Laredo. After unloading and celebrating with worship, the team went to bed to prepare for a long day of drama training tomorrow. #Dontmissout on all God is going to be doing the next week! How you can begin praying for the Team now as they prepare to go! 1. Preparation: Ask that we would also have everything we need for our final preparations. 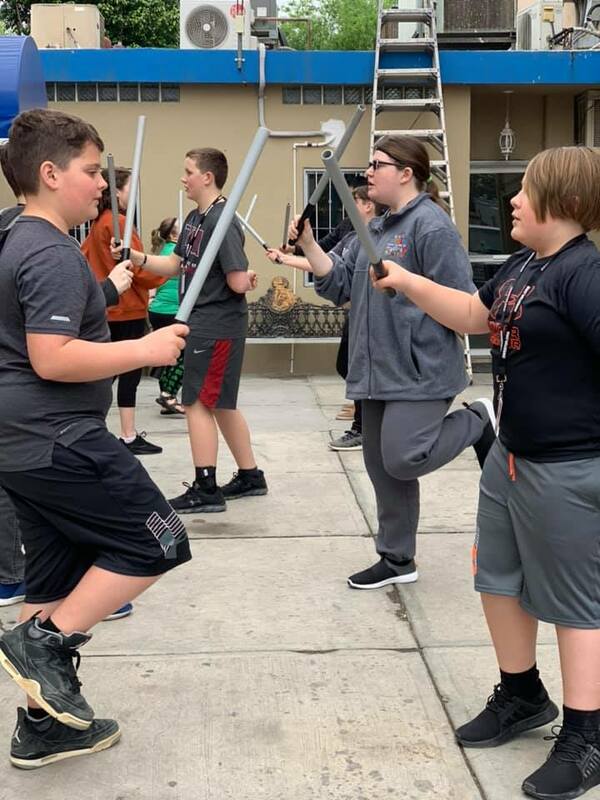 This includes students packing and preparing at home and our office staff, who must make sure drama costumes are ready, food supplies are purchased, vans are available and ready, and attend to many more last-minute details. Most of all, ask God to go before us and prepare the way for the ministry He desires. 2. Travel: Travel to, from and within the country must all be covered in prayer. We drive to Nuevo Laredo, leaving before dawn on Saturday morning, March 16. Pray for our drivers, our vehicles, our border crossing and travel within the country as we move from drama site to drama site. Pray for safety and sweet fellowship as we go and tell. 3. Focus and Unity: The students will learn our 18-minute pantomime drama, “Freedom,” soon after we arrive in Nuevo Laredo. They have only a short time to memorize and practice it before heading out to share the gospel. Pray for attentive focus, ease in memorization and true unity throughout the week so the drama can serve as a creative and effective tool for the kingdom. 4. Leadership: Please pray for out country coordinators and team directors as well as our POPs and MOMs (male and female small group leaders). These different levels of leadership include different levels of responsibility for making sure the mission is carried out, the students are safe and well cared for and that genuine discipleship takes place. Ask God to grant them an extra measure of wisdom, especially as they must often deal with the unexpected. 5. Connections with Believers: Please pray for Pastor Nicolas Alba and other church leaders/translators with whom we will work. Ask God to bless them for the time they give us and for His favor on their lives and families. Ask that their ministries, their churches and their kingdom influence would grow exponentially. 6. Divine Encounters: When a willing witness meets a seeking soul, that’s a divine encounter, which opens the door to the sharing of the gospel. Pray for many such divine encounters from start to finish of this trip. Often, it’s the most unexpected divine encounters and the most unlikely situations that become the best places for the gospel to take root and grow. 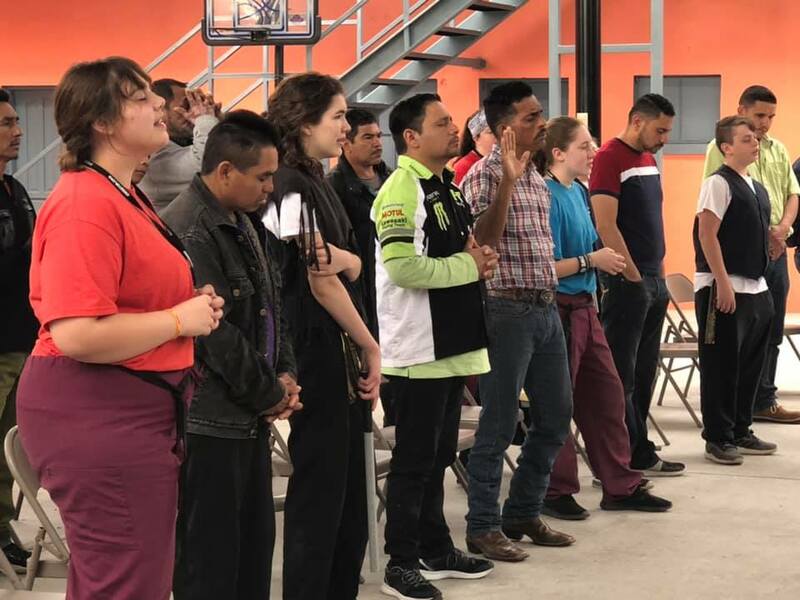 Awe Star’s trips across the border to Nuevo Laredo, Mexico, take us back to the roots of this ministry when our founder, Dr. Walker Moore, first began taking students while still serving as a youth pastor. He noticed the huge difference the mission trips made in the students’ lives, so he kept taking groups back to Mexico to serve. What started as a student trip to one county has now become a multi-national ministry with trips for students, medical teams, and others. 1. Preparation: Ask that we would have everything we need for our final preparations. This includes students packing and preparing at home and our office staff, who must make sure drama costumes are ready, food supplies are purchased, vans are available and ready, and attend to many more last-minute details. Most of all, ask God to go before us and prepare the way for the ministry He desires. 2. Travel: Travel to, from, and within the country must all be covered in prayer. We drive to Nuevo Laredo, leaving before dawn on Saturday morning, March 16. Pray for our drivers, our vehicles, our border crossing, and travel within the country as we move from drama site to drama site. Pray for safety and sweet fellowship as we go and tell. 3. Focus and Unity: The students will learn our 18-minute pantomime drama, “Freedom,” soon after we arrive in Nuevo Laredo. They have only a short time to memorize and practice it before heading out to share the gospel. Pray for attentive focus, ease in memorization, and true unity throughout the week so the drama can serve as a creative and effective tool for the kingdom. 4. Leadership: Please pray for our country coordinators and team directors as well as our POPs and MOMs (male and female small group leaders). These different levels of leadership include different levels of responsibility for making sure the mission is carried out, the students are safe and well cared for, and that genuine discipleship takes place. Ask God to grant them an extra measure of wisdom, especially as they must often deal with the unexpected. 5. Connections with Believers: Please pray for Pastor Nicolas Alba and the other church leaders and translators with whom we will work. Ask God to bless them for the time they give us and for His favor on their lives and families. Ask that their ministries, their churches, and their kingdom influence would grow exponentially. 6. Divine Encounters: When a willing witness meets a seeking soul, it creates what we call a divine encounter, which opens the door to sharing the gospel. Pray for many such divine encounters from start to finish of this trip. Often, it’s the most unexpected divine encounters and the most unlikely situations that become the best places for the gospel to take root and grow. 7. 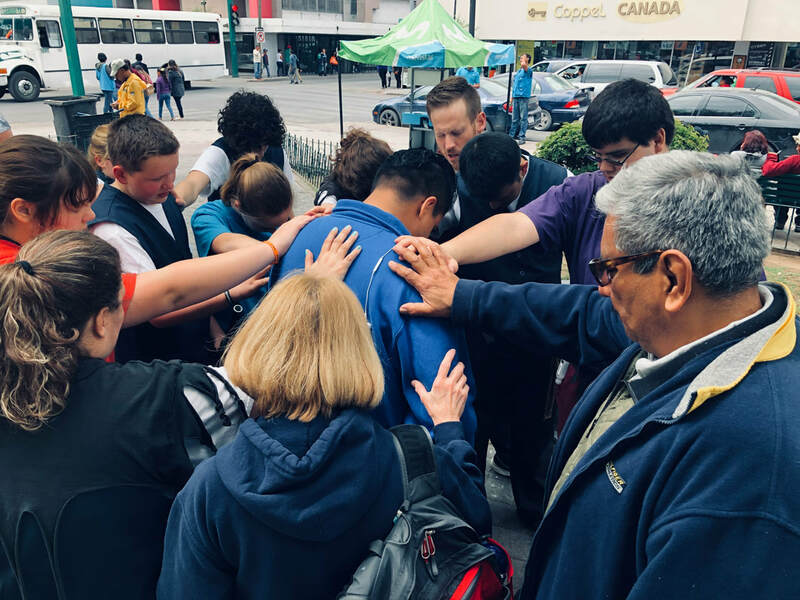 Lasting Impact: Pray that the influence of this trip will be felt far beyond spring break 2019 in the lives of the missionaries who have chosen to leave home and family behind, in the lives of the nationals who work with us, and especially in the lives of the people we serve and lead to Christ. Ask God to allow the reverberations of this trip to echo into eternity.